I was a young Air Force officer, likely insufferable and most certainly highly enamored with my own early success. I was moving on up; on the “fast track” (though early promotions were not yet possible at my career stage). I had been moved into a job reserved for more senior officers and had hit the ground running–inflicting upon all my “innovative” ideas for brazen success in that new job. My new boss (last name: Sullivan; we called him “Sully” long before the advent of the big, blue monster), would sit at his desk with an increasingly bemused look on his face as he observed the undeniable evidence of my embrace of the Myth of Indispensability. I was fully and firmly convinced that the Air Force, nay the entire Military Establishment, could not move forward without my genius. Mystifying it was and puzzling too, how the Air Force had survived lo those many, many years without me. Of course that was in the days when pencils had not been replaced by the ubiquitous keyboards and people actually wrote things out by hand, in pencil, with the option of erasing their efforts if they ran afoul of wisdom or common sense or just plain accuracy. “Penciled in,” Sully had said, meaning I could be erased and replaced at any moment. I was taken aback as Sully succeeded in his mission: to debunk the Myth of Indispensability I had created about myself and replace it with an eye toward excellence tempered by humility. We’re all just penciled in. 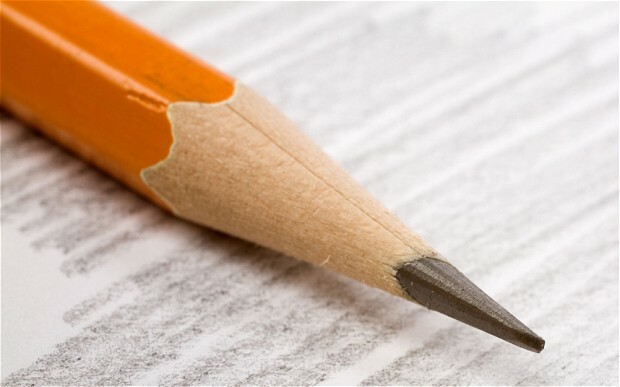 These days, of course, the metaphor might be lost on the “What’s a pencil?” generation. So maybe we should instead say that we’re all Snapchat fodder; visible for mere moments and then gone in a screen wipe. James (in context) intends this as encouragement to do our best with an eye ever towards God’s good pleasure. It doesn’t make us lazy (or ought not); it helps squash our personal Myth of Indispensability and move forward, in Christ, in the pursuit of excellence, tempered by humility. Sully was so very right; even now, when I ponder how exceptional I am (just ask me), his words clang and bang loudly in my mind. We’re all just penciled in. Jesus is the only Indispensable One; He is the Alpha and the Omega; He is the One to whom we look as we pursue excellence on His behalf, tempered by humility. We’re all just penciled in. © All rights reserved. Scripture quotations from the NIV. This entry was posted on Wednesday, July 23rd, 2014 at 2:03 pm	and tagged with air force, Bible, Erased, Indispensability, James, Jesus, military, mist, Snapchat and posted in Uncategorized. You can follow any responses to this entry through the RSS 2.0 feed.